We’ve been running an early 2009 Mac Pro for about 5 years now and it’s been an amazing machine! When we bought it back in 2009, it was really top of the line! Exactly what we needed for video production and graphic design. But after 5 years of loyal service, the Mac began to act up a little bit.. slow loading programs, long booting up periods… it was getting pretty sluggish! Recently in the past few weeks, I even discovered something pretty scary: Mac has a “Gray” screen of death!! Much like PC’s dreaded blue screen of death!! This was the last straw.. it was time to upgrade. After extensive research online, we discovered that the problem may only the hard drive, it may be starting to die after 5 years and the Mac itself may yet live on! The first step towards reviving our Mac Pro is our primary hard drive.. Countless sources online told us to switch to a Solid State Drive (SSD), install the OS and all your applications and leave the rest of your standards drives for storage and backup. 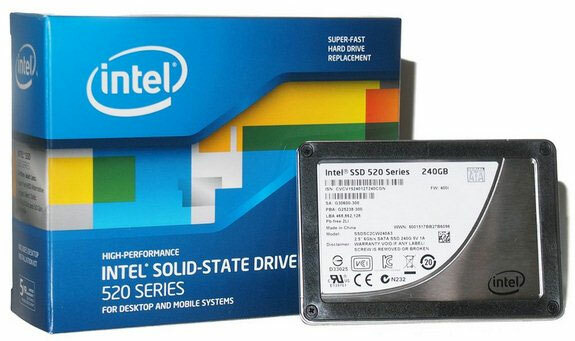 So on Friday, we went out and bought an Intel 520 SSD 240 gigs. We popped it in the Mac, re-installed a fresh copy of OS X Mountain Lion and… HOLY CRAP!! What a difference!! The Mac booted up in under 30 seconds! Adobe software (Photoshop, Premiere Pro, After Effects, etc..) is opening up almost instantaneously. It really does make a huge difference! If you haven’t yet made the switch over to Solid State, you must and you’ll never go back! The longest part of the ordeal was re-downloading and re-installing all my software but besides that, it was pretty painless!